“Monster Hunter: World” is a game series published and developed by Capcom. It is an action RPG centered around the player character, as he or she becomes a member of the Hunters Guild, an organization sworn to protect innocent villagers from the wide variety of wild creatures in the world by sending out skilled monster hunters to slay troublesome beasts. Similar to the gameplay for Mobile Legends, the player controls their hunter and moves them through a variety lush environments, tracking monsters which range in size and shape from the ant-like Altaroth to the massive rocky Duramboros. The hunter attacks these creatures strategically with one of several different weapon types. Each weapon has its own strengths and weaknesses and its own unique style of combat. The Hammer deals massive amounts of damage but is very slow to swing. The Long Sword allows for swift and precise movements, but care must be taken to combo carefully in order to unleash the most devastating attacks. Dual Swords allow for an intense flurry of attacks, including the brutal “Devil’s Dance,” an attack mode that increases damage but leaves the hunter open to the monster’s counter-attack. Other weapon types include Bow, Switch Axe, Great Sword, Sword and Shield, and Hunting Horn. There are different item drops which the hunter carves after they have slain the various monsters, or which they have collected from spawn points around the world, usually shown as rocks, butterflies, or plants. These items vary in rarity and value and are used to craft sets of armor and upgrade weapons. The kind of monster the hunter slays affects the armor’s appearance and stats, and the weapon’s strength, sharpness, and elemental effects. This is the core of the gameplay; slaying monsters and using the drops to create more items to hunt with, allowing for easier hunting and giving the player a chance against more difficult monsters. As with the in-game item drops of Subway Surfers, these drops also can be used to create items to help the hunter during the hunt. These can be combined in the field to make emergency potions to restore health, create traps to catch monsters, make flash and sonic bombs, and cook meat to increase stamina. Most of these items can also be bought in the hunter’s village shop, but some items can only be combined. Sometimes a hunter finds themselves unprepared for a hunt, which is why combining in the field can be very helpful. Hunting the monsters often requires a good deal of skill and repetition to remember movement patterns and weaknesses. Monsters often have areas that are weak for slicing or impact damage, and also have one or more elemental weaknesses which the hunter can take advantage of. Certain parts of a monster such as horns, claws, and teeth, can be broken off, rewarding the hunter with extra drops at the end of the hunt to use in crafting weapons and armor. Most monsters have a tail which can be damaged and removed during combat, which can then be carved for another drop. Monsters have many tells and calls that signal what attack they will use. Learning these and using them strategically gives the hunter an advantage. Rage mode, which occurs after doing some damage to the monster, increases the monster’s attack and speed, making it more difficult to fight safely. When a monster is nearly beaten it will start to limp, allowing the hunter to follow it to its lair and capture it or finish it off. The biggest draw for Monster Hunter World fans is the ability to hunt together. 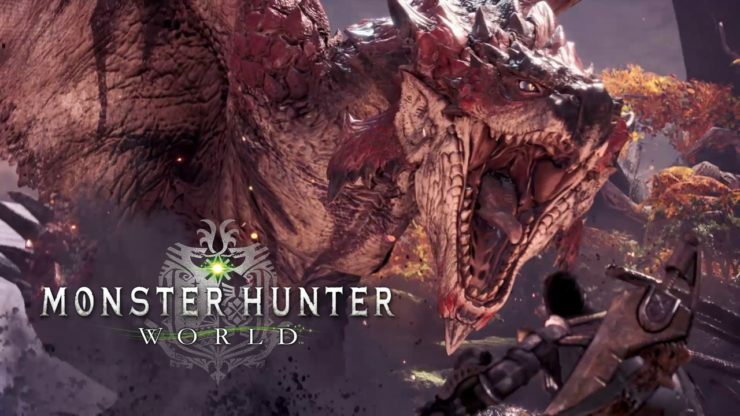 In groups of four hunters can work together to kill monsters, and this is the recommended way of slaying the largest and rarest monsters, as they can often pose an incredible challenge. There are often monsters unique within the online mode that one cannot fight in single player, which means their weapons and armor and unavailable unless one has friends to play with or can connect with other random players. Hunting in groups often requires even more strategy than hunting solo, as the various weapon types require different styles of gameplay. For instance, the heavy-hitting weapons such as the Hammer, the Switch Axe, and the Great Sword are perfectly capable of knocking other players over, or even sending them airborne, ruining their combo or flinging them into the waiting jaws of the monster. Monster Hunter World is a fast-paced action with a good amount of strategy. Gamers armed with experiences from Clash Royale strategies will find playing this game is a breeze. It’s very enjoyable, and worthwhile to play, whether it’s solo or with a group of friends.